The 13th Seoul International Youth Film Festival (SIYFF) closed last week with the Grand Prize going to KIM Hye-bin for directing <Bit by Bit>. This year, the festival presented 140 films from 37 countries with accompanying programs such as Guest Visits, Cine Talk Talk, Midsummer Night’s concerts and Reading Movie events. For instance, the popular Cine Talk Talk, directors such as LEE Jun-ik, PANG Eun-jin, and SHIN Tae-ra and actors such as LIM Sung-min, MYUNG Se-bin and JI Dae-han watched films with audiences and discussed them afterwards. For the SIYFF Eyes Awards (Audience Awards), a film per section is selected from 5 invitation sections: Life, Above All by Oliver SCHMITZ in ‘Beautiful Youth’, A Thousand Time Stronger by Peter SCHILDT in ‘Children of Heaven’, Project Happiness by John C. Sorensen in ‘It’s OK to Be Different’, Du-re Sori Story by CHO Jung-rae in ‘Discovery of Korean Coming-of-Age Film’, The Cursed by HUH Jung in ‘Brilliant Moments’ section. 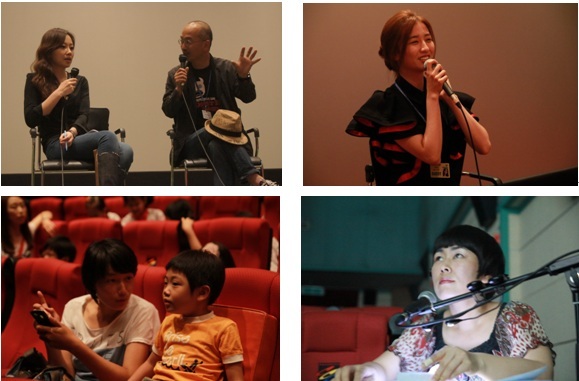 The 13th SIYFF ended with a closing ceremony at Arirang Cine&Media Center on July 13. <Be There> by Silvia GONZÁLEZ LAÁ (Spain).